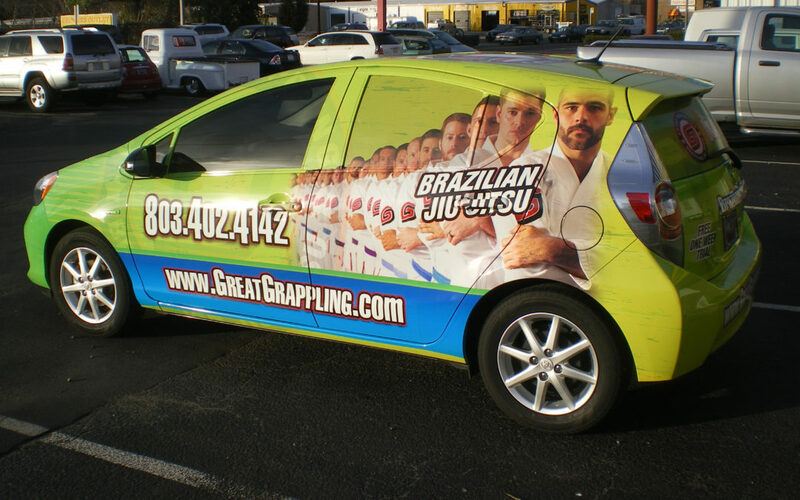 Car wraps are a great way to advertise your business, particularly if you want to target local customers in a certain area. They will increase your brand recognition and are a fun and unique way to advertise. However, it’s important to take care when designing and maintaining your car wrap so that it can be as effective as possible. Here are some dos and don’ts to keep in mind for your car wrap. Do: Include your name and contact info. Don’t: Make it difficult to read. Many people are so focused on the graphics of their car wrap that they forget to actually include the most important thing – their business name and an easy way for consumers to reach you. This is key for increasing your brand recognition. However, you need to make sure the text is clear and easy to read – it shouldn’t be broken up in a strange way that’s confusing for people to understand. Do: Wash your car regularly. Don’t: Use harsh products on your car wrap. It’s important to keep your car wrap clean to ensure it stays in good condition. Gently washing it once every week or so will get rid of dirt and debris that could damage the wrap over time. However, you should avoid using harsh chemicals on your wrap, as these could damage them too. When you get your car wrap put on, talk to the experts about what maintenance products are going to be most effective. Do: Keep your car parked safely in a garage. Don’t: Store it outside for long periods of time. Keeping your car wrap outside makes it a target for damage, so it’s important to store it in a garage or other shelter when you aren’t using it. Otherwise, the sun’s UV rays, as well as other variables in the environment like rain and smog, could lead to damage. Since your car wrap was an investment, it’s important to treat it well. Carwraps.com has a huge selection of custom wraps available for your car, truck, or bus. It’s an easy and fun way to get your company’s name out there while you are driving around town.